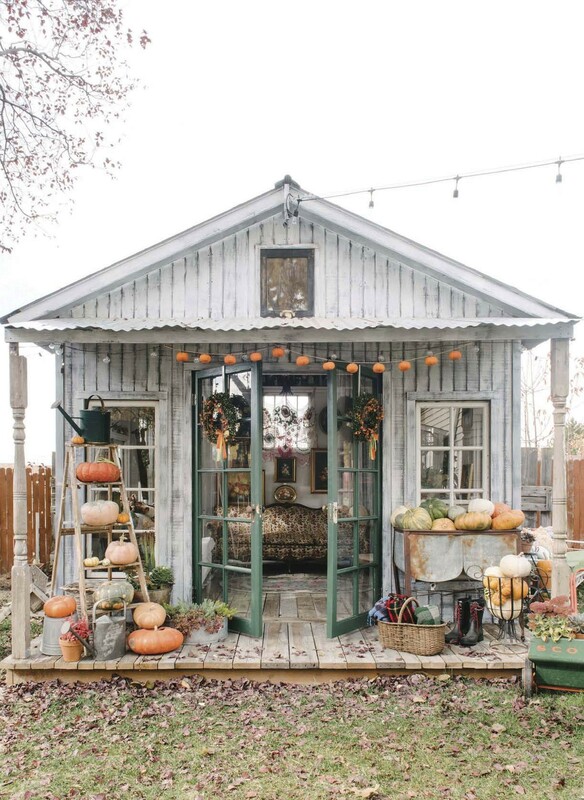 A glamorous shed built from recycled finds is a special retreat for this Utah homeowner. ► SOMETIMES YOU JUST NEED A PLACE TO CALL YOUR OWN. Where you can collect your thoughts, dream a little dream. 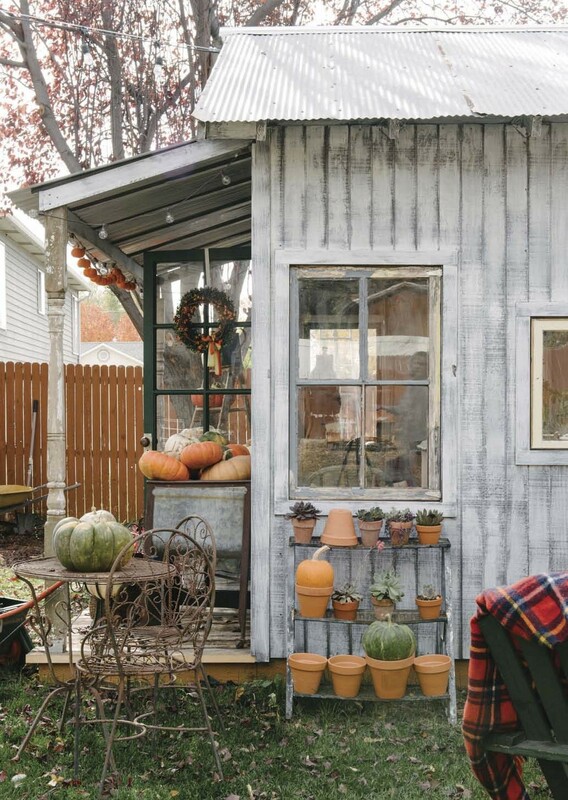 For Jennifer Reed, of Orem, Utah, this “me time” spot is a beautiful, feminine shed in her backyard. And it is no ordinary tool shed or potting shed. Everything inside her beautiful, grownup playhouse has come from an estate sale, flea market, thrift store or antiques store, while the exterior was built using reclaimed materials. “I think that speaks to our generation. Trying to take care of the world a little bit,” says Jennifer. “We have been collecting windows, French doors, metal sheeting, porch columns and barn wood for three years in many different states across the U.S.” Jennifer was well suited to this task. She has a background in theater and now works at Brigham Young University managing stage productions. 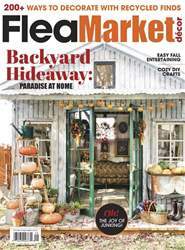 She also runs her own flea-market and antiques show, Provo Vintage Market. (Formerly called 3Dotters Vintage Market, this year the Provo Vintage Market takes place November 16 and 17; more details via the Instagram @3dottersvintage.) Her initial love for vintage comes from theater, where “I learned to tell stories through décor,” she says.